If you have decided you do not want the hassle of possible late night telephone calls about the boiler that has suddenly broken down, or the electricity socket that needed a new fuse. It’s also most probable, you do not have the time to organise the sourcing and delivery of a replacement washing machine or chase up the electrician who failed to turn up as pre-arranged but could not be bothered to cancel. 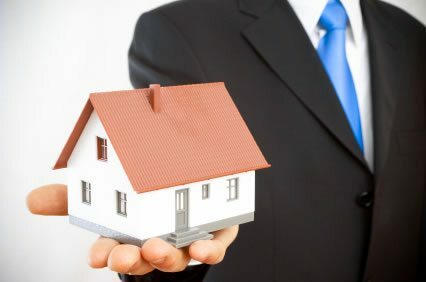 Maybe you are an overseas landlord with property assets in need of good management. Don’t worry, it is part of what landlords pay us to do. Manage their residential property assets. You are in very good hands. All you need do is pick up the phone, give us a call and one of our dedicated and qualified property managers will be happy to assist with any questions you may have. And Here’s What We Offer! Terms and conditions of business: We make sure that you have a copy of our operational guide.Free and none obligatory rental appraisal for your particular property.Professional advice on best rental property practices and landlords statutory obligations.Free internet property advertising on effective property portals.Carry out appointed and accompanied property viewings.The selection process: Candidates are fully checked for affordability and previous landlord reference.Arrange provision of statutory Energy Performance Certificate (EPC) where a landlord instructs us to arrange one on their behalf.Arrangement of statutory gas safe report where none is provided. Subsequent year on year gas safety check as at when due.Carry out property inventory where none has been provided.Key hand-overs.Arrange statutory tenancy deposit.Quarterly property inspection: For the purpose of property assessment and subsequent report to landlord. This means that the landlord is kept on notice with updated reports on each managed property condition.Check-in and check-out procedures.Collect monthly rent as at when due. Remit same to elected landlord client account; less management fees and approved expenses.Regular monthly rental payment statements.Carry out necessary minor repairs subject to agreed terms and conditions allowed limit.Serve appropriate notices as at when required.Arrange rent guarantee insurance where required by landlord client for their peace of mind.Urgent mails requiring landlord notification and action are passed on for the landlord client’s attention as quickly as practicable where applicable.